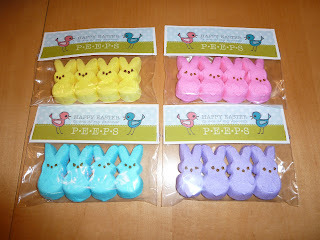 This idea and the adorable printable toppers come straight from Eighteen 25 Blog. So easy too! 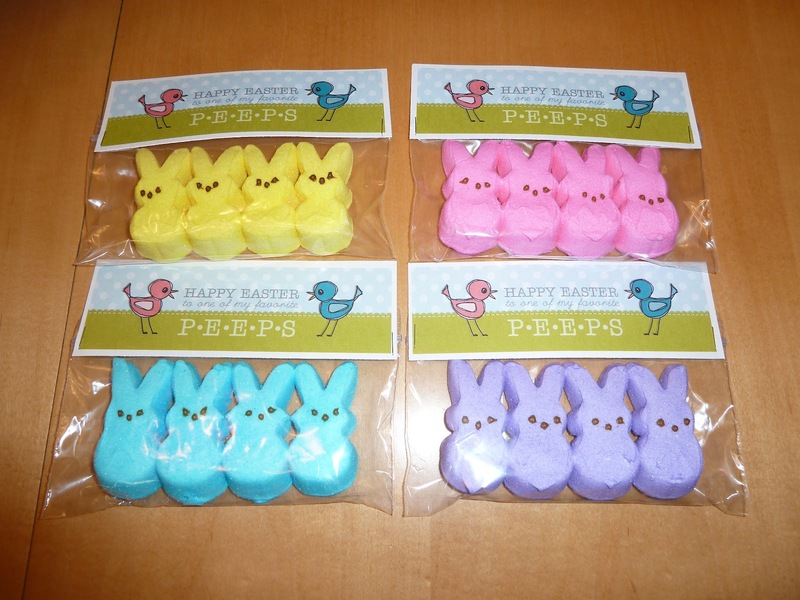 I bought 12 packs of peeps, divided them into 4, sealed in a snack bag, and stapled the topper on each side. Very cute!